Fertilizing your lawn before the weather gets too cold is a great way to set it up for success during the springtime. Summer can deplete a lot of the nutrients from your grass, so fertilizing can reverse this damage and help replenish the roots of your plants. 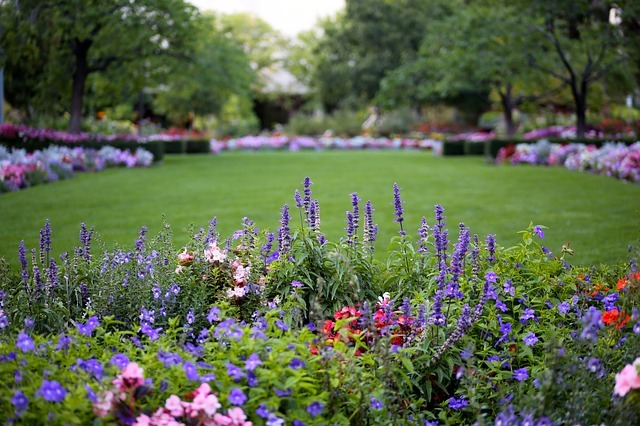 Your lawn will be in full bloom when the weather gets warm again if you decide to fertilize. Aerating your lawn is the process of breaking up soil and dirt to allow oxygen and water to get into it. Aerating your lawn will keep it healthy and thriving. It helps the roots of your plants to grow deep into the lawn, which leads to healthier grass and foliage. 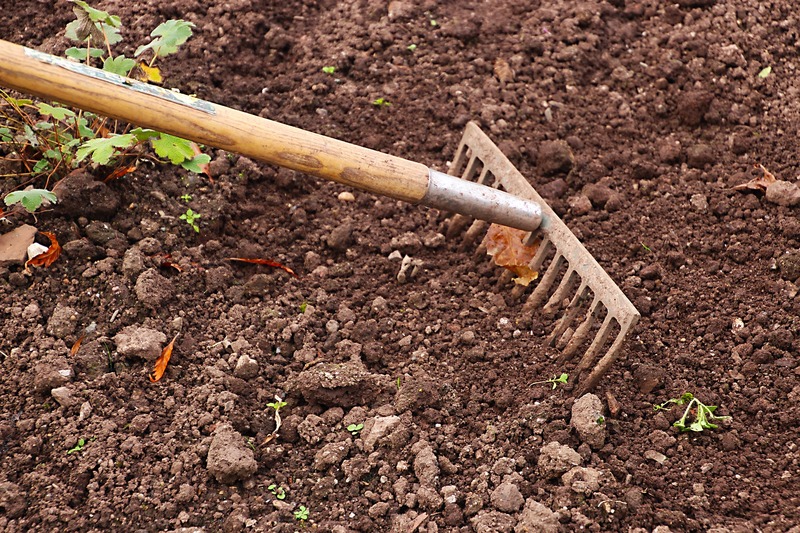 The soil in your yard will naturally get compact over time, making it hard for air and water to seep down into the roots of your plants. Aeration will help break this up and reverse it. 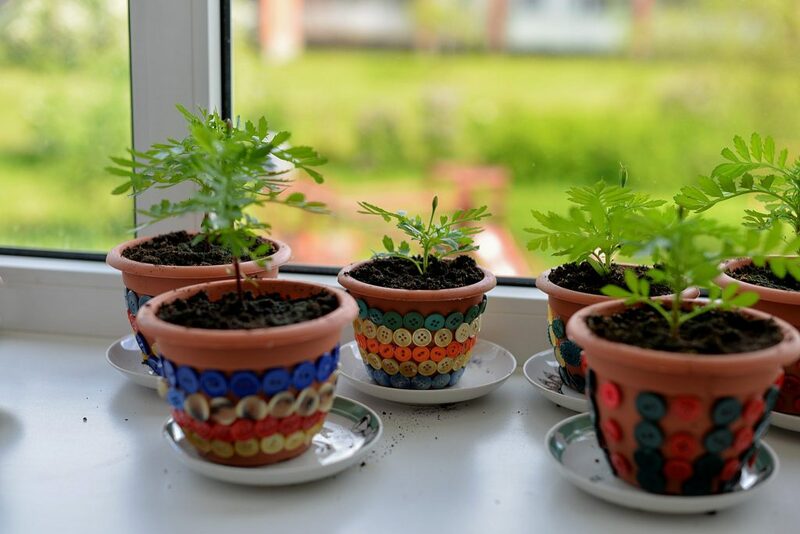 This will make sure that your plants are well nourished, even during winter. Although this tip may seem like common sense, it is important to keep your yard free in the winter time. 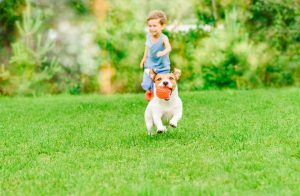 If you leave things like furniture and toys on your grass during the cold season, it can lead to dead patches when the weather gets warm again. 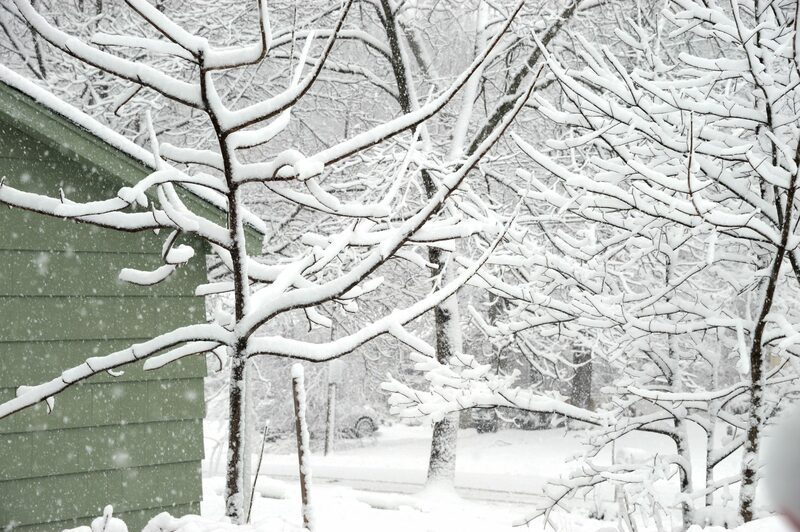 Make sure that your yard is cleaned up and cleared out, especially before the snowy weather begins. If you still have leaves in your yard from the fall, break out the rake and get them cleaned up before the first snowfall. Not only will this help you clear out your yard, as mentioned above, but it will also help open up your root system. This is a good way to prepare your yard for seeding and to help with the aeration efforts of your soil. Don’t Step on the Grass! 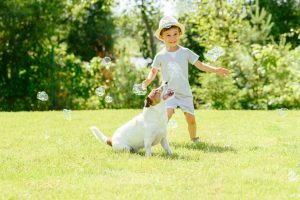 Although you are probably used to strolling through your yard at your leisure, stepping on the grass during the winter can be incredibly damaging. When people tread through the snow, they tend to take the same path each time. As you walk through your yard, the snow will become continuously compacted. While one walk through the yard won’t do too much damage, continuing to tread the same paths can make it hard for grass in that area to grow. Speaking of grass, it is incredibly important to keep up with your mowing schedule all the way up until the first snowfall of the winter. Leaving tall grass for winter weather can have devastating effects on your yard. Longer grass will trap in moisture and will stay wet throughout the season. While your yard will not be as visually pleasing in the winter time because of the lack of foliage, you can still up your curb appeal by adding and updating hardscaping features to your space. Benches, gazebos, walkways, and other features will still be visible in the winter months and can give your landscape a welcoming vibe. 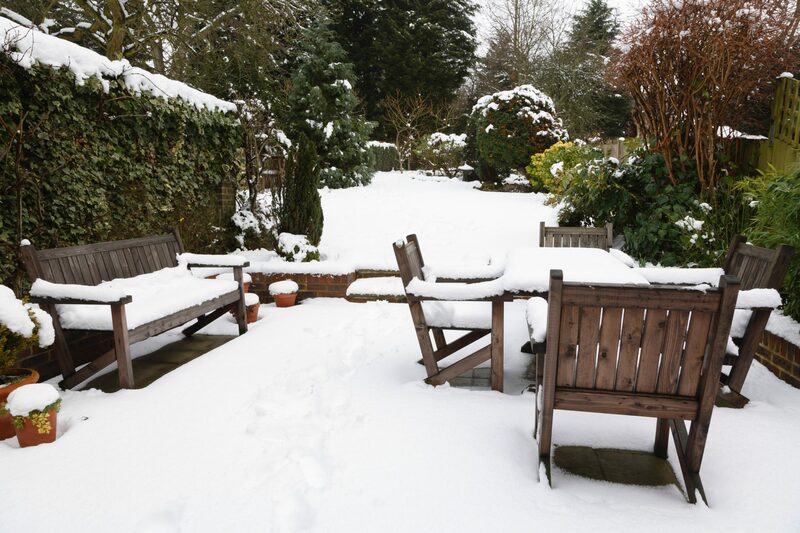 Winter is the perfect time to take on these projects because you will be putting less maintenance into your grass and garden. Taking good care of your lawn in winter is half the battle to keeping a successful landscape all year long. Practice these maintenance tips, and contact the experts at Hidden Creek Landscaping for all of your winter landscaping needs. 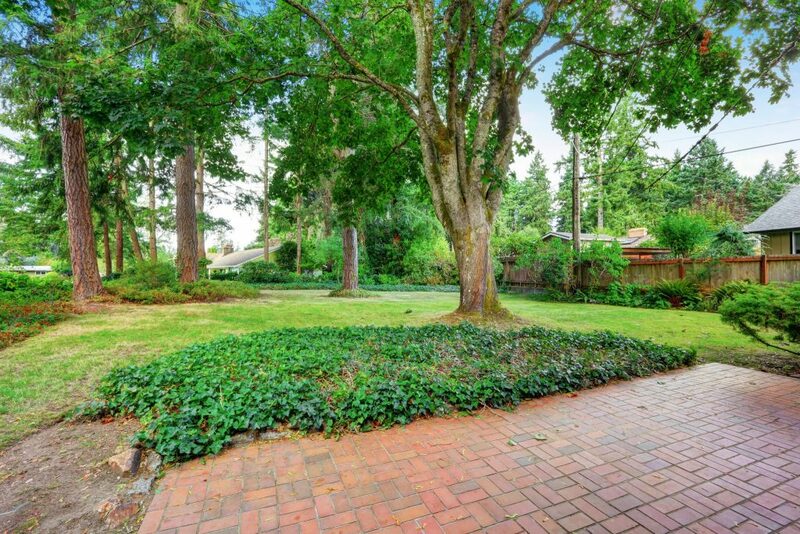 Together, we will make sure that your yard is beautiful and healthy for the new year. Would you like to pursue a career in landscaping? A landscaper is an expert who designs attractive and functional gardens, public parks, residential areas, playgrounds, public spaces and college campuses. These professionals plan locations of walkways, roads, buildings, trees, flowers, and shrubs to enhance these environments. A landscaper designs these areas to be efficient and visually pleasing. To become a professional landscaper, you will need training at a recognized institution. 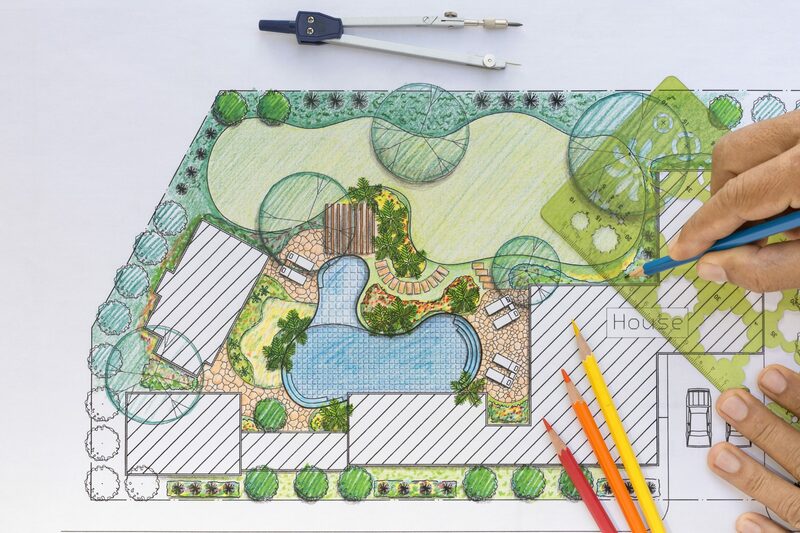 A master’s or bachelor’s degree in landscape architecture is a good place to start. 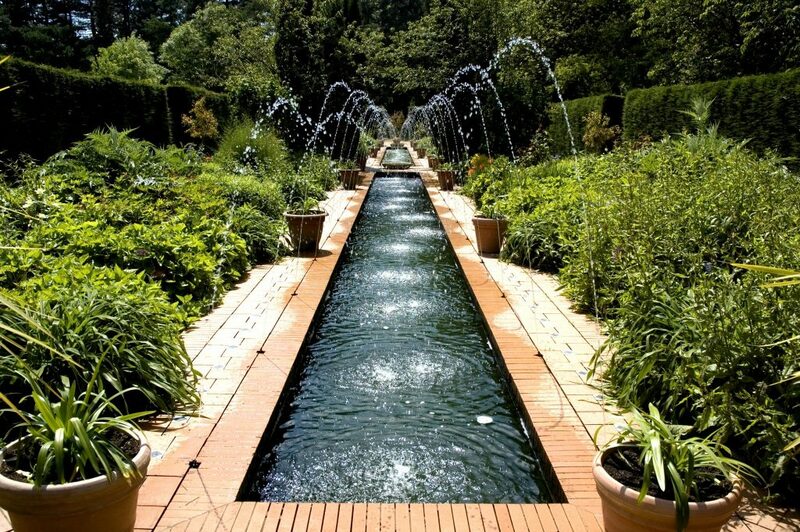 Ideally look for programs that offer specialized bachelor’s degree in landscape architecture. Courses typically include site design, landscape ecology, urban and regional planning, landscape design & construction as well as surveying. Additional coursework may also include geology, plant & soil science, landscape architecture history, general management and professional practice. 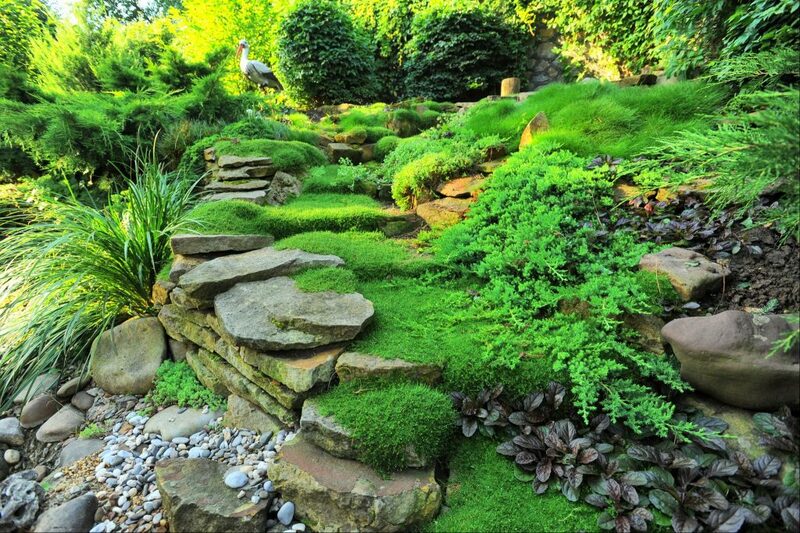 A landscaper’s main objective is to boost the natural beauty of any space. The expert may also plan restoration of natural spaces like wetlands, mined areas, and streams. They can also design home projects which can make your living area more appealing. Landscape design-All beautiful public areas were envisioned by a landscape architect. This expert must study, analyze, plan and create the landscape. A master’s degree, bachelor’s degree, and license are all required for this field. Landscape creation-Those who like working with their hands to change bland scenery into an outstanding setting should explore landscape creation. This field’s main objective is to produce a landscape architects’ plan. Landscapers plant vegetation like sod, bushes, and trees. 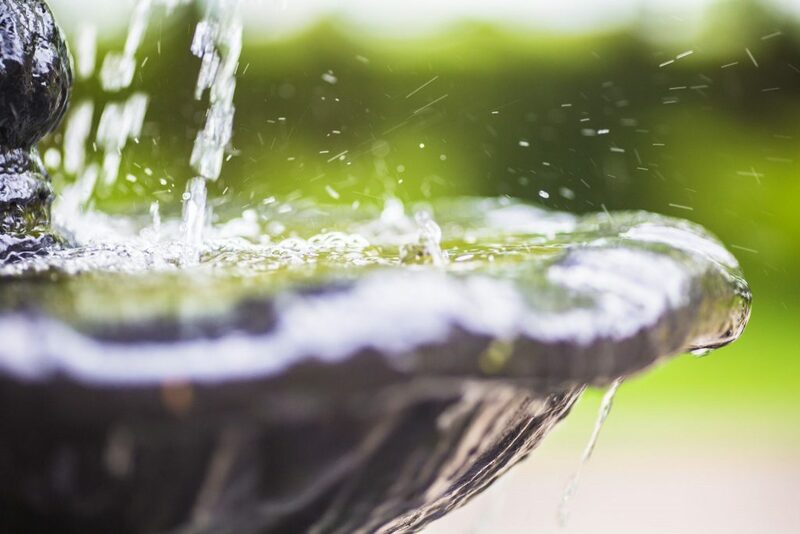 They install upgrades like sprinkler systems, fountains, and lighting on your property. A high school diploma and short training are required for this job. A landscaper has a variety of duties and responsibilities depending on the task at hand. There are various quick ways of tracking down an experienced and talented landscaper. Many states have regulatory agencies tasked with overseeing the bonding, licensing and certification of landscapers. These experts can only obtain licenses after passing vigorous tests including additional training and courses usually offered annually. The best landscaper needs to be active in community organizations or industry groups. Sites like Yelp and Angie’s list are suitable places for finding reviews posted by customers who have worked with different landscapers or contractors. You can easily learn a lot by scanning the customer reviews, A credible and established landscaper or landscaping company also needs to have a website. 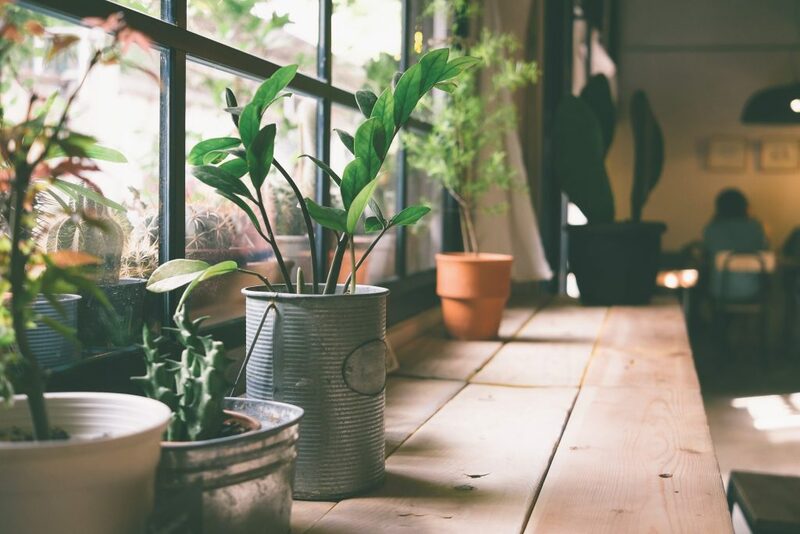 If you see a home or an office with an attractive outdoor design, knock on their door and ask more about the expert who maintains their backyard or garden. Also, consider asking homebuilders, friends, and architects among other professionals for referrals. You may also ask some local nurseries about their favorite landscaper clients. After narrowing down your search to fewer candidates, request them for a bid. They should also indicate names of their current clients and the past project references. You can follow up to check if the professional came on time, their budget and how well they do their duties if they still work for that client. Finally, ensure the landscaper meets all local and state certifications or licensing requirements for different specialty areas in the profession. What Makes a Landscape Company Credible/Successful? A credible and successful company should be recognized locally if not nationally. They should have some years of experience and enough landscapers to help them meet their clients’ needs. Their quotes should also be reasonable and tailored to offer quality services. By providing quality services, it’ll be easy to retain consumers and be successful. Communication skills – landscapers are required to share their ideas both in writing and orally with customers, workers, and fellow landscapers. Effective communication helps ensure everything is completed as per the client’s needs. Analytical skills – It is important to understand design contents in this field. They must have an understanding of the interactions between buildings and the surrounding environment. 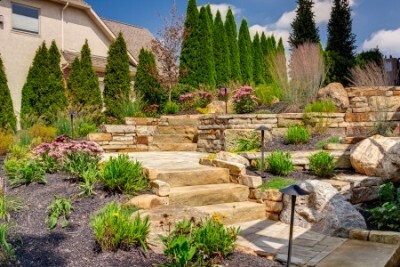 Creativity – Landscapers need to be creative to design unique and beautiful designs. 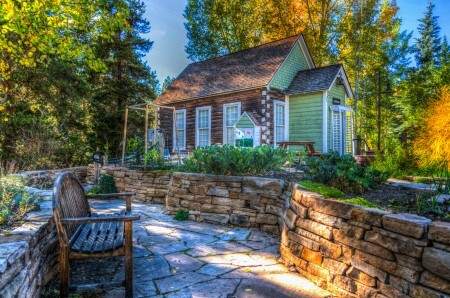 If you are looking to remodel, trust the experts at Hidden Creek as your landscaping experts. Our team of trusted professionals will work with you to build the perfect yard for you and your family. Give us a call today! How can you make your landscaping stand out while you’re hosting night-time gatherings this summer? 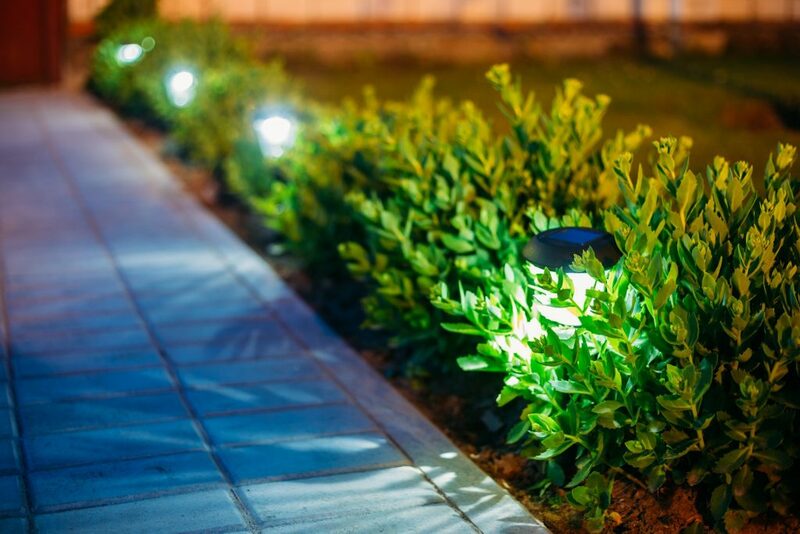 The installation of landscape lighting accents some of the most important features and can help to create your perfect yard. Follow these design tips and tricks to get the most out of your landscaping on these upcoming summer nights. The entire property should be seen as a cohesive unit, and you have to consider all the landscaping components to achieve the best results. Everything from the bushes to the trees and flowers must be considered. Also, you should look at the paths that guests will walk along. This will create a pleasing environment as well ensure safety as they walk at night. 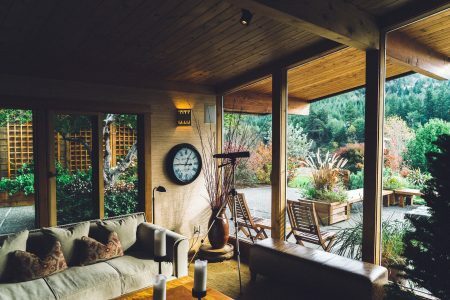 Another thing to consider is your home’s architecture and any other features such as decks, patios, and gazebos to get the best idea of how you should follow through. You have three different types of landscaping lighting. First, there’s what is referred to as down lighting which literally means the light is pointed downward. Downward lighting has become a popular choice for lighting on trees and architecture. This style of lighting brings a certain feel of class with it. Next, you have uplighting, which is where the light is angled upward. This is a popular addition for buildings-you can place the lighting on the ground to focus them upward, which adds depth to an otherwise boring wall or pillar. Finally, you have cross lighting. This lights a focal point from all sides, and it achieves a unique look that can play well with specific styles and features. Along with lighting options, other considerations must be made. For example, overall lighting does exactly as it says. It lights up the whole space, which is good for those gathering areas with your guests. You also have task lighting, which gets used for specific intentions and purposes. For example, you might use it as a way to illuminate a walkway. Finally, you have accent lighting. This lighting comes with the specific purpose of accenting certain areas of the yard during the night time. Ultimately, it depends on your design goals for the property. Landscape design might also take security into consideration for the night design. For example, you might install lighting above the garage door or close to the back door to make it more difficult for people to sneak onto the property. Much of this lighting will be motion activated, and it has the potential to scare away unwanted burglars. At the least, this lighting serves the purpose of alerting you inside of the home. Additional lighting can also protect from the risks of tripping or falling at night. For example, pool areas, pathways and steep drop-offs could all have hidden obstacles in the night that could be dangerous. The addition of a few simple lighting elements can make your home overall much safer. Changing the color of the lighting elements you choose is a good way to mix things up and spruce up your home. In fact, to make your yard pop at night, you might employ blue lighting, purple lighting, and even red lighting as a way to switch up the landscape and give it a refreshing look. You might even design an awesome night garden with a well-lit path. These fun and different uses of light will allow you to express yourself through your home design and really make it your own. 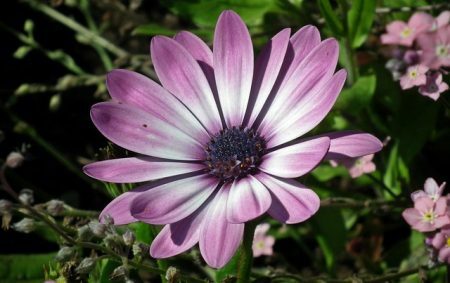 Plants that bloom or release fragrances during the night time can be called “noctiflora,” and it will spice up almost any occasion. Light flowers and foliage will show up the best in a night garden. While having the moonlight hit the garden just right can light it up, it isn’t always required. You might even add your own lighting to the location with torches, candles or even regular landscape lights. It depends on the mood you want to achieve, which is what you should always consider most. 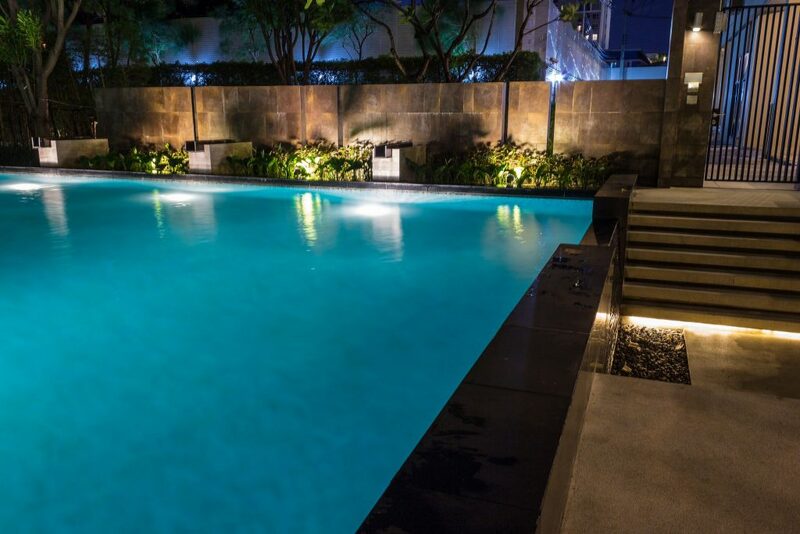 Before you ever decide to invest in landscape lighting for night time, you should ask yourself what you want to achieve through the illumination of the backyard. Maybe you want the mood to have a soft and romantic feel, or maybe for security reason, you want to illuminate your garden. You might also choose this method because you want to highlight the best features in the yard. For example, maybe you have this elegant water fountain or this Japanese Koi fish pond, which is one of the popular trends of the industry today. You might, for example, illuminate the bridge walk that span over the pond, or you could illuminate the pond waters so that your guests can watch the fish even at night. It all depends on what you want overall for your home. These are some of the ways that you can build a brilliant space at night on your property. When choosing a company, you want to pick one that has an established reputation for quality. For all of your garden questions, concerns, or needs, don’t forget to contact the experts at Hidden Creek. Together, we can work together to create the dream landscaping that you’re envisioning.